Concise Hornbooks, Gilbert Law Summaries, and Nutshells are just three of the series titles included in this subscription. 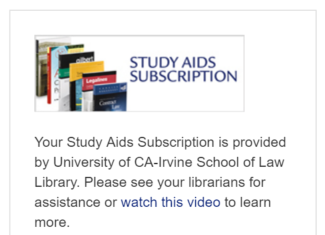 Law students: check the VPN Instructions from UCI Law IT. Previous PostPrevious Research Training for Clinics – Aug. and Sept.